Commercial and home odor control products for surface and airborne odors. A liquid odor eliminator for the air and surface with a lemon-lime scent in a 24oz. clear bottle with trigger sprayer. Liquid odor eliminators for the air and surface in a 24oz. white bottle with trigger sprayer. 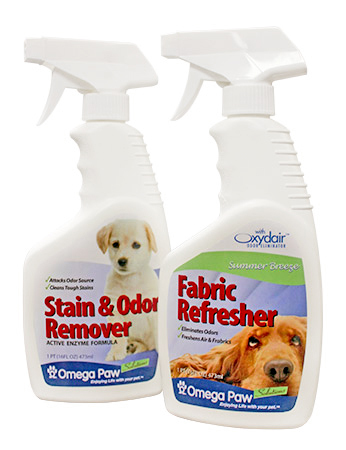 Products include Bio/Enzymatic Stain & Odor Remover and Fabric+Air Refresher with summer breeze scent. Liquid odor eliminators for the air and surface in a 24oz. black bottle with black trigger sprayer. 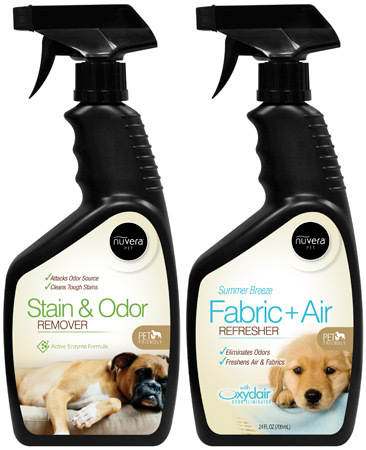 Products include Bio/Enzymatic Stain & Odor Remover and Fabric+Air Refresher with summer breeze scent. A line of liquid general purpose cleaners in a 1qt. (32 oz.) matte white bottle with a trigger sprayer. 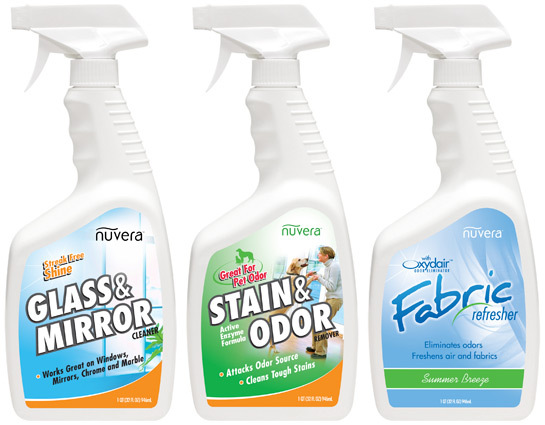 Includes Glass & Mirror Cleaner, Stain & Odor Remover and Fabric & Air Refresher.